7755 Black Bear Point, Colorado Springs, CO 80922 (#1276758) :: Fisk Team, RE/MAX Properties, Inc. Cute, Light & Bright one level Manufactured/HUD on leasehold title land. This home has a new roof & new outside paint. 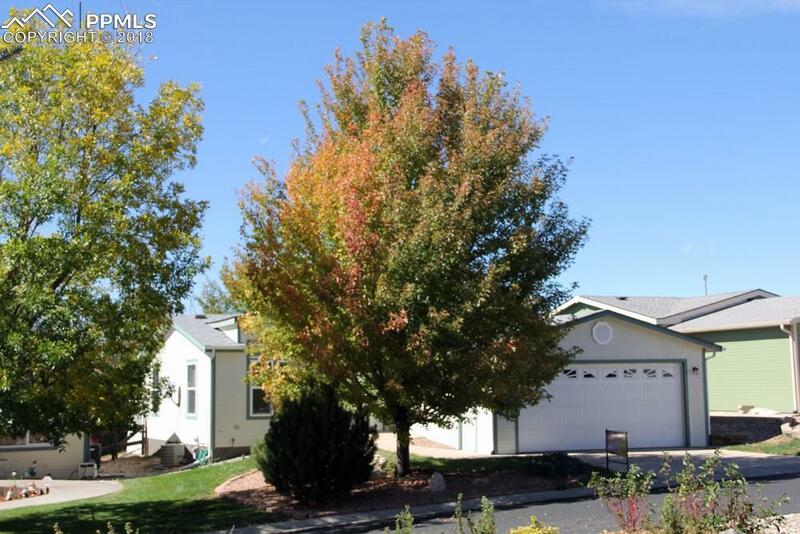 This 3 bedroom, 2 bath, 2 car garage, has been very well maintained. The lovely kitchen & dining room combo opens to nice wood deck and fenced backyard. The kitchen has beautiful marble flooring and oak cabinets. The nice size Living Room opens to dining and kitchen area. The master bedroom has 2 closets and a private 3/4 bath with stand alone shower. Beautiful views of Pikes Peak! This nice neighborhood has Club House, Pool, Exercise Facilities, & Picnic and Playground area! Listing provided courtesy of Dancing Star Realty Llc.